The best desserts in micro-portions! I’ve been debating which recipe would get the honor of being first on this blog. After much thought, I decided to go with a favorite of mine: Cocoa Brownies. I’ve had this recipe for years, and it’s always tasty. It’s easy, quick, and you probably already have all the ingredients in your pantry. I know everyone has a favorite brownie recipe, so I won’t advocate it as being “The Definitive Brownie of 2013.” What I will say, however, is that it’s a dense, not too cakey, not too fudgy, dark chocolate brownie with just enough sweetness and just enough bitterness. 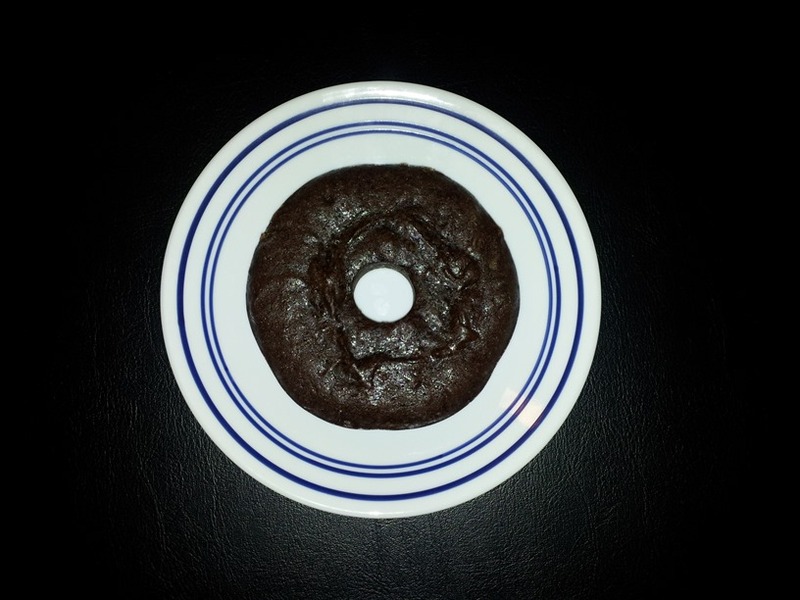 I prefer to eat my brownie straight up without any toppings, so this treat can easily stand alone. That’s a fact. For the purpose of microbaking, I’ve cut the recipe down to an easy 2-4 servings. As you can tell from the photo above, I used a mini silicone bundt cake pan which I found recently in a thrift shop in the UK. This recipe can make two mini bundt cakes, or you can also bake the whole thing in a loaf pan. (The loaf pan has become one of my new, favorite microbaking pans.) Just line the loaf pan with some foil and spray it with cooking spray, and you’re good to go. Heat oven to 350 degrees F. Line a loaf pan with foil and coat with cooking spray. In a small saucepan, melt butter over medium heat. Stir in sugar and cocoa powder just until it’s incorporated into the butter. You don’t want the sugar to melt completely. Remove from heat and pour into a mixing bowl. With a spoon, beat in the egg. Stir in vanilla, flour, and salt. Pour batter into the pan. Bake for 10-15 minutes until the brownie is just set and a knife inserted in the middle comes out clean. You don’t want to over-bake this one. Let cool in the pan. Once cooled, grab edges of foil, remove brownie, and slice.